Last year, Alaska Governor Sean Parnell announced a three-year initiative to create three to four demonstration projects, showcasing efforts to bring school districts together to provide shared teaching and learning experiences through the use of synchronous and asynchronous learning modalities. The Alaska Digital Teaching initiative, passed by the Alaska legislature, created an application process, where more than 40 percent of the school districts submitted their ideas and projects. This initiative is designed to provide examples for delivering high-quality interactive distance courses to middle and high school students; increasing student access to a diverse array of courses; empowering teachers to reach beyond their own classrooms; training teachers; and expanding school districts’ infrastructure, technology and staffing. Grants under the Alaska Digital Teaching Initiative were recently announced with GCI SchoolAccess customer Kodiak Island Borough School District (KIBSD) among the list of recipients. This grant is intended to increase student engagement and academic performance in core content areas with an emphasis in science, technology, engineering and math (STEM); increase life-literacy skills; enhance and expand online delivery models; and create a network of well-trained online educators. KIBSD will partner with the Pribilof, Lower Kuskokwim, Lower Yukon, Northwest Arctic, Lake and Peninsula, Nome, St. Mary’s and Annette Island school districts on this opportunity. For years, Alaska has been a pioneer in digital teaching and learning. Today, local schools are integrating technology in the classroom to provide their students and educators with incredible learning opportunities. From a student broadcasting team that delivers live reports on site from the Iditarod sled dog race, to a live satellite link up with astronauts in space, to simply learning calculus from a teacher in another school district miles away, digital teaching and learning enables students to receive an education that is on par with – if not better than – students in more urban environments. Using a combination of technologies and a one-school concept, KIBSD has transformed from a district that was limited by its remote and rural location to one that is thriving because of it. Its eight remote schools serve between 10 and 30, K-12 students each with one or two teachers in single buildings. KIBSD schools are not connected by road, and the majority of the schools can only be reached by air and use satellite for their Internet and video conferencing network. Now, it is not only one of the most technologically advanced districts in the state of Alaska, but also students’ scores on standardized tests are increasing. In addition, all students in the district are benefitting from the continually growing curriculum provided over video conferencing, which now includes languages, music and sports, and the technological advancements to support it. 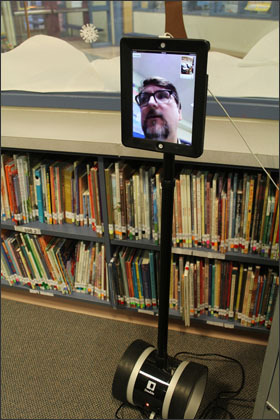 Most recently, KIBSD implemented mobile video conferencing using a robot. This technology has brought remote administrators to the office, allowed students in remote villages to fully participate in regular classes, provided professional development to teachers from out-of-state trainers, facilitated the coaching of village sports teams and much more. These robots bring mobility, proximity and body language not possible with regular distance delivery options. KIBSD has shown that by taking advantage of the opportunities presented through digital teaching and learning, rural communities can become 21st-century learning environments, regardless of their location. Video conferencing, broadcasting, video podcasts and transportable Internet have revolutionized the way students in rural communities learn and interact with the world. Using these tools educators can open doors to new content and develop the skills that will help students succeed in today’s increasingly global society. You can view some brief examples of how digital teaching and learning is used in Alaska to improve education now. GCI SchoolAccess will continue working with KIBSD and the other school districts to explore synchronous opportunities to advance digital teaching and learning in Alaska. How are you using online learning to improve education in your school? Let us know in the comments below. You can also chat with me on Twitter at @plloyd. Education has changed dramatically with the introduction of new technologies that allow students to learn in ways that were not possible a few years ago. From connecting students in remote areas to subject matter experts through video conferencing to allowing distance learning, students and teachers reap the benefits of a constantly changing education environment. So what is next? There are companies in the EdTech space that are doing some very interesting work in learning analytics, which I believe is the next evolution for education. Learning analytics are not new in the technology space; Google has been using analytics to “learn its users” for some time. What happens when these same kinds of analytics allow for teachers and students to create an environment where “school” learns the student instead of the student learning the “school”? Several cutting edge companies are working on solutions that create a learning environment focused on students. Take Dimensional Learning Solutions: by making online learning adaptive, this company is able to customize learning for an individual student to fit how they learn best. Traditionally online learning has been one-size-fits-all with limited ability to adapt to individual needs. I talked with Brian Talbott, founder and CEO of Dimensional Learning and he said that new research indicates that not only do students learn through different styles, but they learn different concepts through different learning styles. With analytics, educators can understand how a student is learning, and if they are running into problems, redirect them down a different path using an alternative learning style. Dimensional Learning Solutions provides customized feedback for both students and instructors and gives actionable insights. Nervanix is another company making waves in learning analytics. 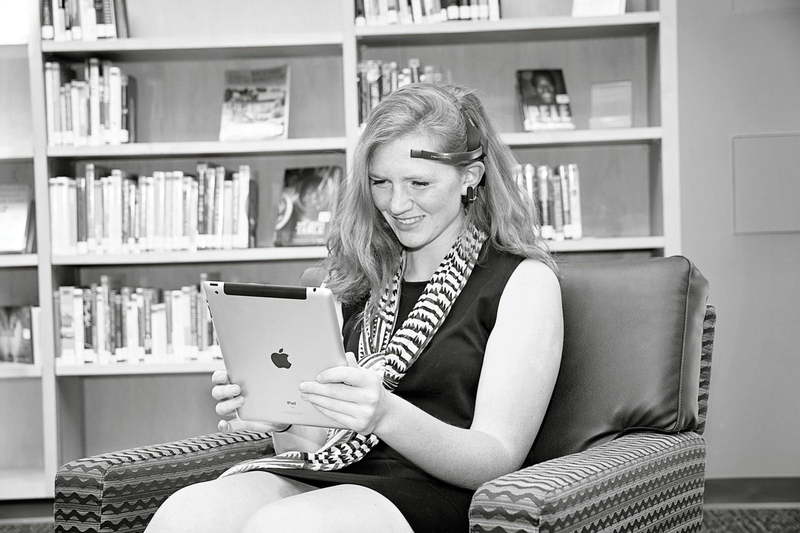 According to Adam Hall, founder and CEO of Nervanix, the company is pioneering a concept called “attention adaptivity” which leverages attention data through EEG devices that monitor the brain while a student learns. This data helps to inform instruction and adapt to a learner’s style in real time. Nervanix recently launched its first product, Nervanix Clarity. It’s a headset designed for students that monitors their attention while studying material via a mobile device or computer. Students can look at the data to see how well they are studying and pinpoint sections they should revisit because they “zoned out.” Nervanix provides software that works as an extension for existing education products and services. It is exciting to think about what education could look like with wide adoption of these technologies. But in order for these innovations to work, students and teachers must have access to reliable, high-speed broadband, regardless of their zip code. Without access to broadband, the learning gap will continue to grow in rural areas around the country, including parts of Alaska. As we move forward to the next phase of education, access for everyone is key.